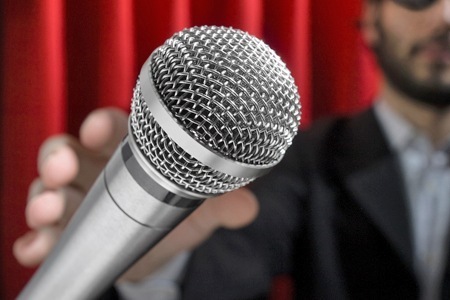 Stand-up comedy is a guaranteed winner on a Stag Weekend. The lads can all get nice and lashed, knock back a few crates of potato wedges and, most importantly, laugh until they puke. Which is of course what all Stag Dos are ultimately about. We may as well start with the Comedy Store, being as it is the archetypal London comedy venue. Stupendously central and offering top-quality shows most nights of the week, this place is perfect for Stag Parties who want to know exactly what they’re getting. Not always too kind on the wallet, but guarantees a cracking night out and the possibility of seeing the odd famous face. 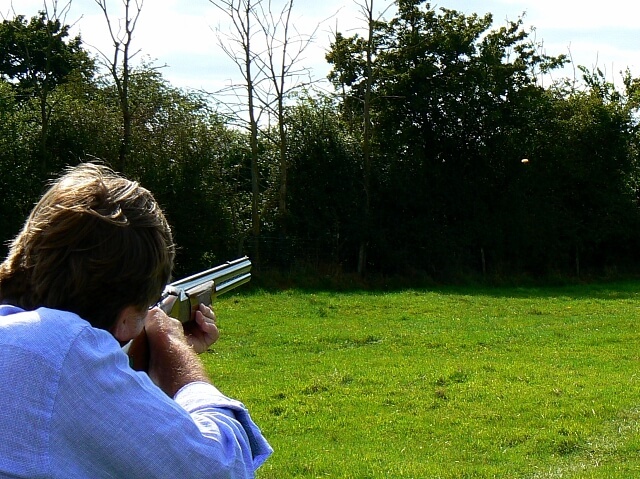 You’ll need to plan in advance if you’re factoring The Chapel into your Stag Weekend, as it only holds shows monthly. The upside of this is that the quality is exceptional, with the bill often featuring the biggest names in the industry (past performers have included Tim Minchin, Noel Fielding and Frankie Boyle). There’s a killer live band too, along with the added bonus of celestial surroundings for those who prefer to enjoy their comedy whilst praying. We’re heading off the beaten track now, and going for something a wee bit more experimental. 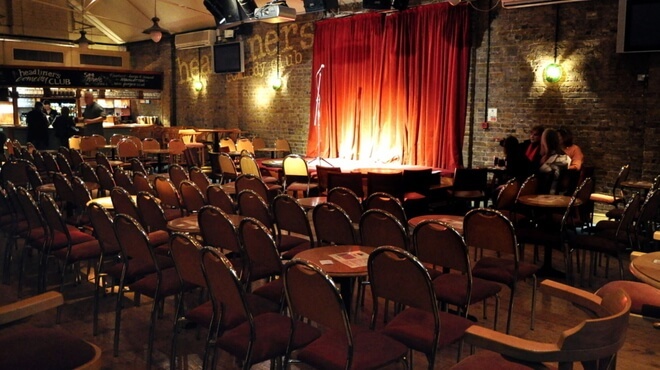 Hampstead Comedy Club in North London’s Chalk Farm is far more intimate than the all-star venues in the centre of town, but promises just as raucous a night. They book a mixture of established circuit comics, up-and-coming stars and even the occasional minor celebrity. Also a great place to see shows from the Edinburgh Fringe. Balham is fast establishing itself as one of London’s most aspirational areas, and The Bedford is arguably the jewel in its crown. Famous for its superb programme of entertainment, The Bedford hosts something called Banana Cabaret two nights a week and bills it as ‘the friendliest comedy club in the country’. And it is. A superb night in a superb pub, with the added bonus of a live DJ until 2am. We’re swinging right across town now to Greenwich (accessible by boat, of course, if the lads fancy a spin on the Thames), where comedy club Up The Creek offers top names, top larks and even top nosh if you get there before 9pm. Plenty of big names have performed here, and it’s nice and close to the DLR station for that extra level of convenience. If you’re bumming around the centre of London trying to avoid tourists, disappointing lager and shady characters selling you miniature Big Bens, try the 99 Club in Leicester Square. Quite amazingly, this joint claims to offer a packed comedy schedule seven days a week, 52 weeks a year. But they can’t mean Christmas Day as well, surely? That seems somehow wrong. Don’t worry, I know what you’re thinking. Stand-up comedy’s all very well but wouldn’t it be that much more appealing if it could float? Well, that’s exactly the principle that the folks at The Boat Show employ with their on-river comedy club, fantastically situated as it is right across from the London Eye. This place is also a nightclub, so the party continues well into the small hours. The LST is not only super-central, it’s also legendary on the comedy circuit – Stewart Lee, Jerry Sadowitz, Bill Bailey and Michael McIntyre have all passed through here at one time or another (to perform I mean, not just to grab a beer). It has two spaces – the basement, home to regular stand-up nights, and the 400-seat main house. One of the top places to catch the hottest names in sketch and stand-up comedy. Many of you may not have been aware that moose possess a sense of humour, but they must do otherwise this place in Soho would be LYING. And nobody in London lies; it’s a commonly accepted fact. This multi-award winning Greek Street club boasts a strong line-up of well-known names and exciting up-and-comers, with the added bonus of being situated right in the heart of one of the capital’s coolest night-spots. The Chiswick area is best known for its leafy streets, yummy mummies and depressingly unaffordable house prices, but it also does fantastic stand-up comedy. Turnham Green’s Headliners is situated in a converted warehouse, which is kinda cool, and hosts a one-monthly ‘New Act’ night so you can catch the rising stars before they hit your TV screens. The Comedy Tree is a cosy little venue in West London’s riverside haven Putney, offering fresh talent for bargain prices on Thursday nights (£10 for comedy, food and drink) as well as bigger names on Saturdays at the intriguingly-named Wahoo Bar. Well worth a cheeky peek. Quite where the name ‘Bearcat Comedy’ comes from is up for debate, but one thing we can be sure of is that a bear with a cat’s head would be pretty funny, so I guess that’s a good sign. Rather unusually, The Bearcat offers its punters lifetime membership… although all you need to do to earn this is turn up. Exclusive, huh? Once you do, though, you’ll get discounted entry forever, which ain’t half-bad. Sure they’ll regret that once people start living to the age of 312. This oddly-named comedy stalwart is not only award-winning, but manages to be in two places at once. Knock2Bag West can be found at Bar FM in Shepherds Bush, while Knock2Bag East lives on the Bethnal Green Road at Rich Mix. You get a bit of everything at these twin venues, from sketch troupes and character acts to established names and rising comedy stars.